Following the previous chapter you?ve now tested your system at least once and have the results sitting in front of you. So how do you interpret those results and make informed system tweaks? Read on and I?ll tell you. As I?ve mentioned before, trading, as a business, is unique in that you can test your business before you ever risk a cent.You can gain a complete and intricate understanding of how your system works. Through trading system review, you will discover how even a slight change in your system?s variables can have dramatic effect. And the more you play around with these variables, the more you will come to understand the relationships between them.An example of this can be seen in the relationship between risk and reward. Systems that tend to have higher returns also tend to have larger drawdowns (risk). In the past, I have designed systems that return up to 300% p.a. but they have drawdowns of over 100% ? that is to say, you?re guaranteed to lose your entire float and some when trading this system. In short, the greater the reward, the greater the risk. With this in mind the astute reader may have realised profitability isn?t the only criterion by which you should be evaluating a trading system. What percentage of wins are you achieving against the percentage of losses? What is the average value of your wins compared with the average value of your losses? How much money can your system make, on average, for every dollar that you risk? How many losses in a row does your system generate? What is your system?s maximum drawdown? 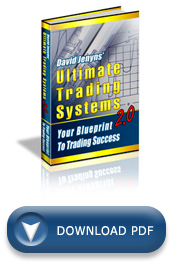 How many trades does your system generate? And, of course, how profitable is your system? To fully answer these, and other similar questions, you must analyse the results from your back testing. Conduct a trading system review. Unfortunately, with the overabundance of trading statistics which most back testing programs provide, this can be easier said than done. Let?s take a closer look at the key metrics you need to pay close attention to. When assessing the performance of a trading system, one of the first statistics that gives you a good indication of tradability is the win-to-loss ratio.Quite simply, this is the ratio of the average winning trades taken against the average losing trades taken.If this ratio indicates you are winning more often than you are losing, you are on the right track. But don?t get caught up in this statistic on its own, because it doesn?t tell the whole story. It doesn?t consider the size of your winning trades versus the size of your losing trades. Remember the Turtles? Their win-to-loss ratio was 40:60, but they were still hugely profitable. In addition to the win-to-loss ratio, you will want to make sure that the average value of your winning trades is greater than the average value of your losing ones.Say your back testing consisted of 200 trades. If 150 are losing trades and only 50 are winning trades, obviously your win-to-loss ratio is 25:75. But that on its own isn?t enough to determine if a system is good or bad.Understand that, if the average of your wins was, for example, $2000 and the average of your losses was $500, you are still coming out on top ((50×2000)?(150×500)=$25,000). We talked about expectancy in chapter 6 on money management, but I?m going to take this concept a step further.A trading system?s expectancy is perhaps one of the most powerful statistics you can have because it is a way of quantifying the performance of a system that is independent of the size of the trading float. Expectancy is different to the risk-to-reward ratio and average wins to losses that we described above, in that it defines a return in dollar terms for every dollar that you risk.If your system has an expectancy of +0.75, on average, you would expect to make 0.75 times the amount you risked in the trade. If you risk $1, then you would expect to make, on average, $0.75 profit for every trade you take. As a guide, if you can achieve expectancy of $0.60, you?re heading in the right direction. Please refer back to chapter 6 for details on how to calculate expectancy. Look back through your testing results to see, statistically, how many losses in a row your system sustained while still being profitable.This is important to know upfront, since this statistic will give you confidence during those low times when it feels like you should throw in the towel. For example, imagine you have been hit with five or six losses in a row. Without knowing your maximum consecutive losses, you might think your system isn?t working.This is where most naive traders go wrong. The truth be known, based on the historical data, your system may have actually sustained ten losses and still been profitable. This is why it is so important? to do a trading system review. The maximum drawdown is the worst period of ?peak to valley? performance of your system, regardless of whether or not the drawdown consisted of consecutive months of negative performance. This statistic is automatically calculated, so it?s just a matter of asking yourself: am I comfortable with that size loss?If not, you will need to do more system tweaking to get it to a level that you can live with. Again, it all comes back to the risk-to-reward ratio. Typically the more risk you take, the greater the reward. I have traded a system in the past that returned 140% p.a. Now that sounds great, but that particular system had a maximum drawdown of 80%.Could you trade a system where it?s likely you?d lose 80% of all your capital at least once while trading it? Could you stomach that? It?s important you trade a system you?re comfortable with. Then there?s the number of trades a system gives over the course of a year. I find this an invaluable, yet rarely talked about, statistic.Your trading system should not give too many or too few trades. The number of trades that a trading system gives should be approximately the same as that which can realistically be taken. The two sides of the coin are equally dangerous. If a system gives too many trades, you will be forced to choose between signals, therefore adding ambiguity to the system.With ambiguity comes human discretion and this often has a detrimental effect on the performance of the trading system. On the other hand, if a system gives too few trades, your trading capital will not be fully utilised and you may not be taking full advantage of the available trading opportunities. So how do you calculate the optimal number of trades for a trading system?This is done with the calculation called ?opportunity?. Opportunity helps determine your optimal opportunity for a trading system, as demonstrated below. Profitability is simply the return on investment over a yearly term.Let?s be blunt. We?re all in this to make money. At the end of the day, profitability really is the most important metric by which to measure our success. But, while it?s important, it needs to be balanced with the other six measures I?ve just discussed. Calculating all these metrics manually doesn?t seem too appealing. Thankfully, most back testing software will calculate these measures for you. As I?ve mentioned, the goal of back testing is to make sure you know and are comfortable with the metrics of your system. The metrics will give you rules by which to trade, but you must continue to monitor your system and compare real-time statistics with your back tested results.If it trades outside of those statistics, when trading real time, you will need to investigate why. Remember, analysing your trading metrics is critical, however often overlooked. I cannot stress how important it is to conduct a trading system review. You did not mention your excel program “Trading Summary” which answers all these questions. Yes, the spreadsheet in http://www.trading-secrets-revealed.com helps with the on going maintenance of your system – it calculates all the key metrics you need to keep an eye on. Again, I very much appreciate your support. that I would lose $120 for every dollar I risked? Hi Steve thanks for the question… you’re right I didn’t clearly explain this. The difference between the two examples is that one is referencing the expectancy per trade, while the other is the expectancy per $1 risked. I’ve been testing my system in real time and have kept all of the metrics you’ve mentioned. I’m interested in backtesting but my entry is based on historical landmark prices + Moving Averages etc. I’m not sure how this can be mechanically back-tested? Any ideas? You should be able to do it. To ensure I’m understanding you correctly, please define what you mean by “landmark prices” – are these subjective or discretionary? In short, if you can define your entry system to a set of rules, you should be able to back test it.